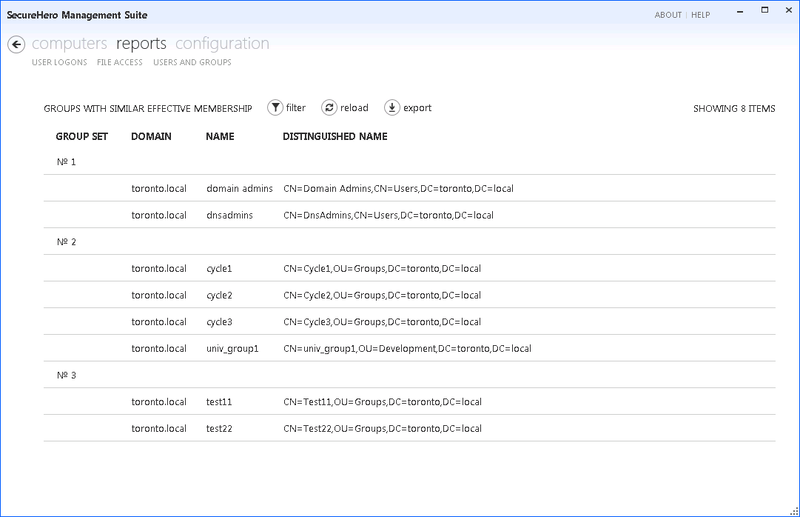 Detect and clean up stale user and unused group accounts in Active Directory. Quickly pinpoint problematic user and group accounts with just one look at the dashboard. 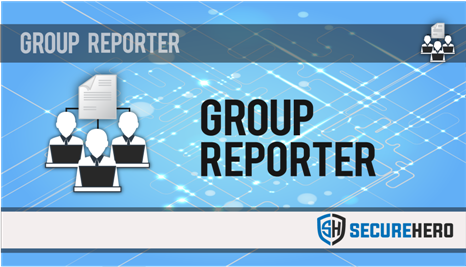 Group Reporter starts building reports immediately since its very first run. Every report shows most recent and accurate data you can rely on. Group Reporter shares the same console with Logon Reporter and File System Auditor. 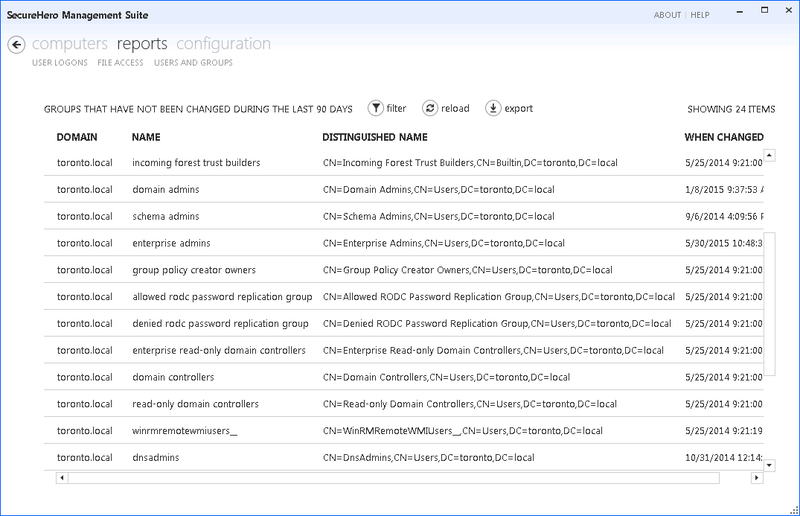 Group Reporter automatically discovers all your Active Directory domains. Export a list of stale accounts into a csv file for subsequent remediation and cleanup. 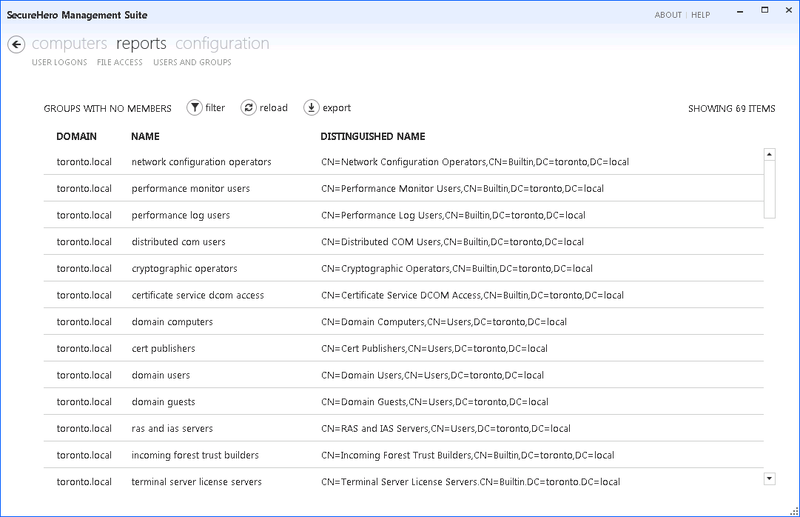 Active Directory Reporting – Assess the state of your Active Directory with ready made reports every administrator wants to run daily. Active Directory Hygiene – Identify and clean up toxic groups and stale user accounts across Active Directory domains. Automated compliance – Implement mandatory user and group management and reporting requirements of various compliance regulations. Pre-migration assessment – Clean up your Active Directory for a successful migration project. Get rid of the dormant user and group accounts. 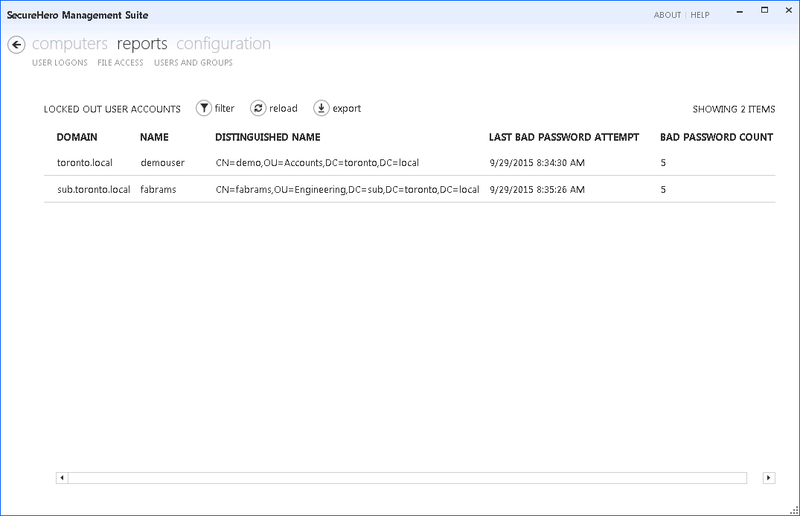 Office 365 readiness – Prepare AD for integration into Office 365. 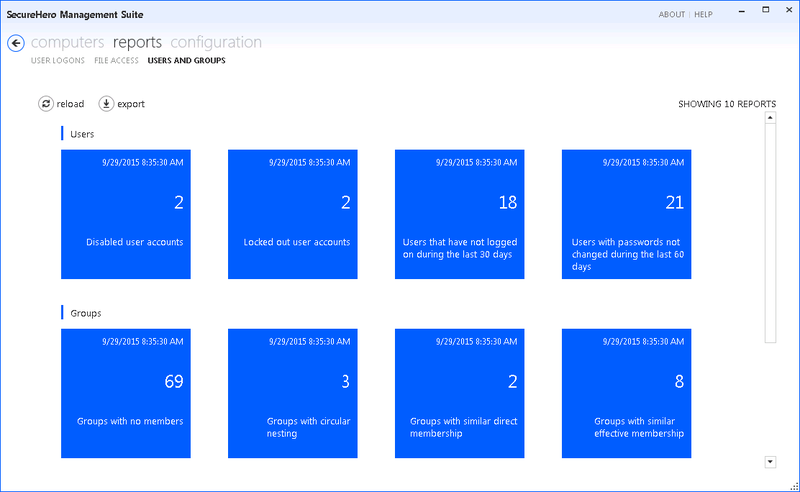 Identify unnecessary groups and stale user accounts before setting up integration with Office 365 and Active Directory Azure. Spot groups with identical membership. Analyze both direct group members and effective group members by expanding nested groups. Pinpoint groups that should not remain in Active Directory such as groups with circular nesting, empty groups and groups without managers. Detect Active Directory user and group accounts that have not been changed for a long time and thus could be considered for disabling and/or removal. For example, find groups that have not been changed for 90 days and easily double check users that had their passwords changed longer than 60 days ago. 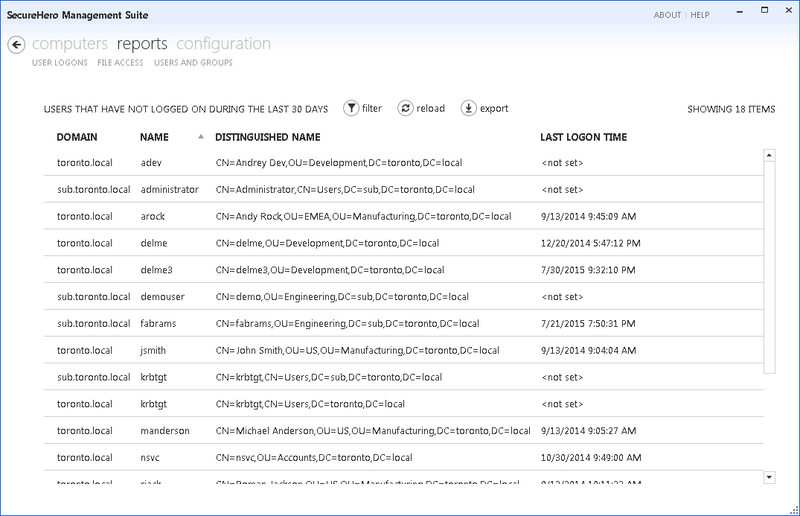 Perform accurate assessment of Active Directory users and their last logon time. Run a report that will check all domain controllers in the domain to build a list of users that have not logged on during the last 30 days. Get on top of brute force attacks by instantly pulling an up-to-date list of locked out user accounts and zeroing in on those that fall out of normal “user forgot password” patterns.